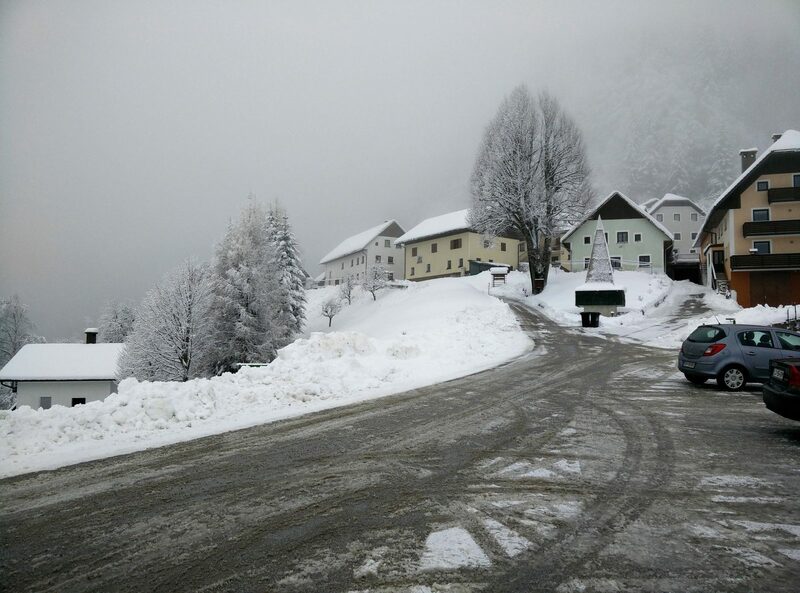 In the beginning of 2019, we spent several days in snowy Slovenia and of course leaving the country without hiking was not an option. We really wanted to climb some high peaks in the Alps but after a brief research we figured out that that’s not the best idea. 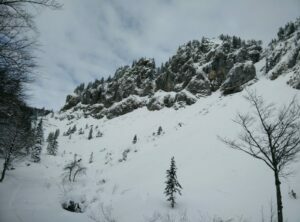 There was a lot of freshly fallen snow at the time which created avalanche hazard on steep slopes. Therefore, we started looking for smaller mountains and less technically demanding hikes. At the end we decided to climb Ratitovec (also called Altemaver – meaning “old wall” in Germanic). 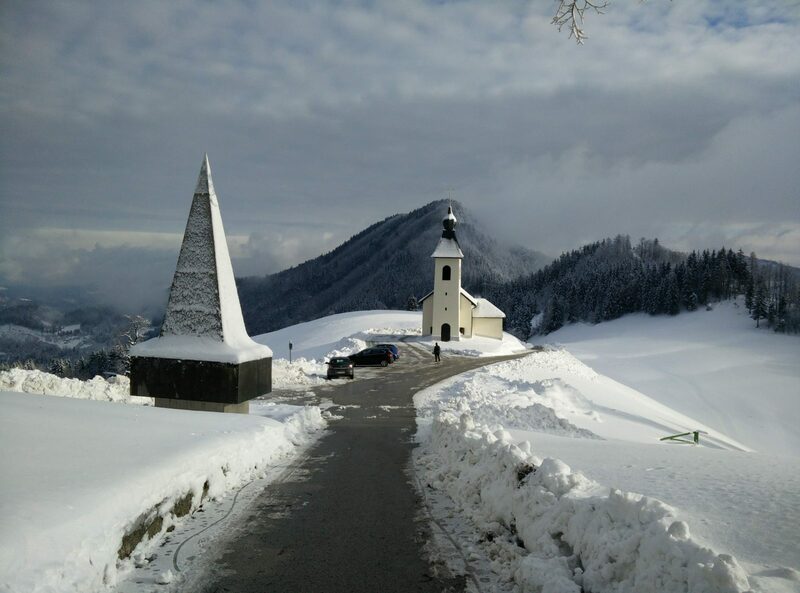 Ratitovec is a 1678 meters high mountain that lies south-east of the Julian Alps. It’s a very popular destination for hikers and mountaineers because you get a great view of the Julian Alps, Kamnik-Savinja Alps and Karawanks from the top. The Ratitovec trail is generally not that problematic when it comes to avalanches because it’s covered with dense woods almost to the top. However, on some stretches the trail runs beneath very steep slopes and thus caution is required –avalanches do occur on these stretches, although rarely. 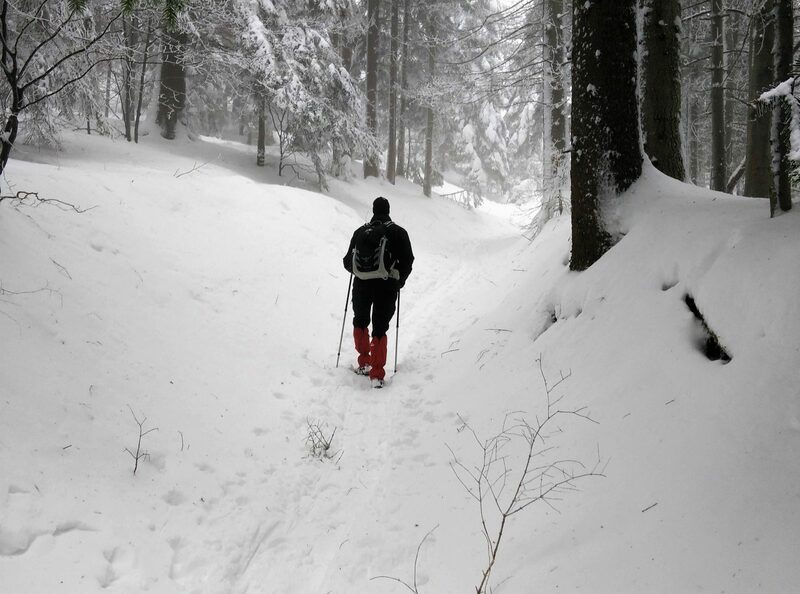 In summer and other snow-free months, the Ratitovec trail is a nice and not too demanding hike, and thus suitable for everybody, also for families with kids. The Ratitovec Altemaver trail starts in Prtovc, a small village in near proximity to the towns of Zelezniki, Kranj and Skofja Loka. As Prtovc is a quite remote village, nevertheless, it is unfortunately not accessible by public transport. The road to the village is, however, quite good (asphalt) and thus you can easily get there by car. There is also a very big and free parking lot next to the village church. To reach Prtovc you should drive along the Slovenian E61 highway towards Kranj and then take the Kranj-Zahod exit. Follow the direction signs for Skofja Loka and after approximately 12 kilometers you will reach this historic town. Continue through the center (past the bus station) and follow the signs on the regional road for the direction of the town Zelezniki. After driving on the regional road for 15 kilometers you will reach the town of Zelezniki. In Zelezniki, you will see a direction sign for Prtovc. Turn right here and drive for approximately 7 kilometers on the relatively narrow road that ascends rapidly to an altitude around 1000 meters. The road ends at the village of Prtovc and the church will be one of the first thing you notice. The parking lot is just next to the church. If you have a GPS device, the coordinates 46.2276, 14.1134 will lead you directly to the parking lot. At the parking lot, start walking towards the village and after a hundred of meters or so you will come to a direction sign. The direction sign shows two different routes to Ratitovec (the Poden route and the Razor route). We decided to take the Razor route as we heard that it’s less steep (=less risk of avalanches). If you want to take the same route as us, you should go right at the direction sign and then follow the red and white circles which are painted on trees and rocks along the route. The trail is in general well-marked and you shouldn’t have any problems with the navigation. However, you can also download our free GPS track above and use it with a Smartphone, hiking watch or a GPS device. Once the village ends, the trail ascends rapidly through dense woods in the direction of north-west. 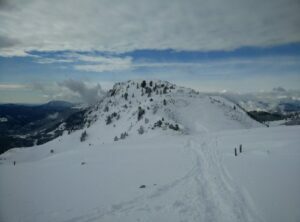 We were a bit worried that we’ll have to trudge through knee-deep snow, but it turned out that many hikers and especially tour skiers before us had already done the work. After hiking for approximately 2.5 kilometers on this path, you will come to a clearance at the altitude of 1450 meters. On your right you will have a steep rock wall (perhaps the reason for the name Altemaver) and behind you a glimpse of the picturesque valley beneath. Our view that particular day was partly obscured by mist, but here and there the sun broke through and revealed the astonishing landscape beneath us. A bit further ahead in the clearance, the path turns towards south and ascends rapidly through dense woods towards the Ratitovec ridge. After a steep stretch, you will soon come out of the woods and beneath the ridge. 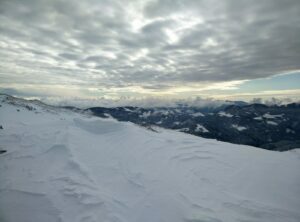 From here you only have 400 meters of hiking left to the Ratitovec mountain hut. The peak is only 200 meters away from the mountain hut and not much higher ascent-wise. 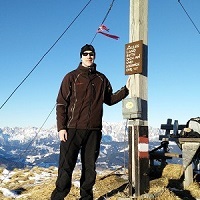 The mountain hut is at the altitude of 1642 meters while the peak is 1678 meters high. 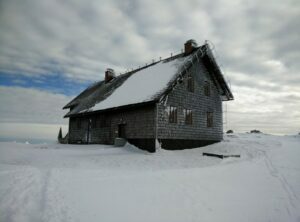 The mountain hut is opened every day in summer and during weekends in winter, spring and fall. When we reached the mountain hut, we saw that the trodden pathway ended there. Since it was already getting late, trudging through knee-deep snow to the top was not an attractive option. Therefore, we decided to descend back to the village. Because we were a bit in a rush and there was a lot of snow off the beaten path, we used the same path for the way down as for the climb. 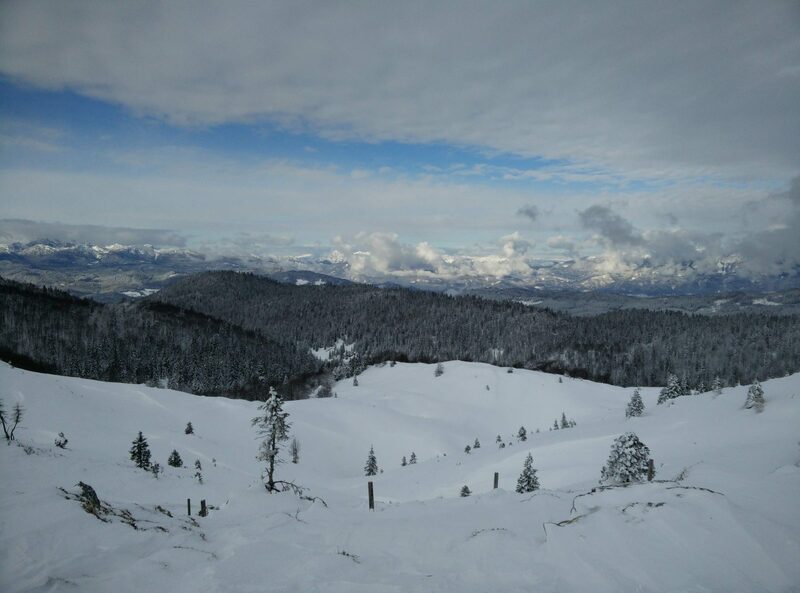 Descending the mountain, or better said sliding down the mountain, was a pleasure in these snowy conditions. As we anticipated that the hike would be relatively short time-wise, I didn’t bring too many things with me. In my Osprey Talon 22 daypack I was carrying water, warm tea, food, some accessories and a fleece jacket. While hiking, I was wearing the WoolPro Agena Merino base layer, an insulated jacket, softshell pants, Salewa Mountain Trainer Mid hiking boots, Woolx Merino hat, insulated gloves and gaiters. Since we didn’t make any long stops, the fleece jacket stayed in the backpack throughout the hike. 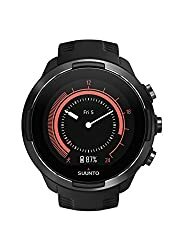 I’ve been using the Suunto 9 Baro watch for quite some time now and I’m very satisfied with it. 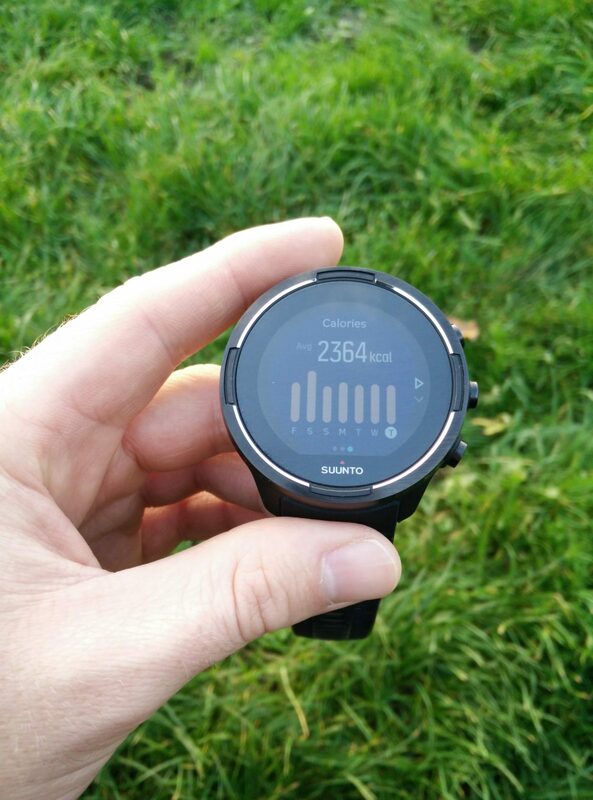 The watch is due to its long battery life and navigation/tracking features perfect for hiking. It is also equipped with a Sapphire lens and thus you don’t have to worry about scratching it. However, the watch also has some shortcomings, but these are about the software and connectivity. Read the full review of the watch here. Ratitovec is a nice and easy day hike that is suitable for everybody. If you are doing this hike in summer don’t forget to bring enough water and a sun cream. If you decide to do this trail in winter bring gaiters, proper footwear and warm clothing. 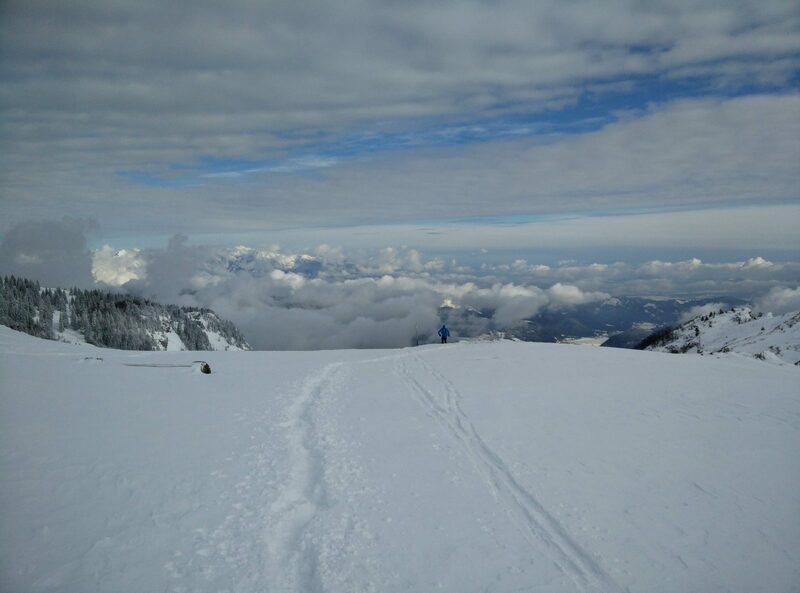 The trail is quite steep but you will be rewarded with an astonishing view of the higher peaks in the Alps on the top. ← Guide: How to prevent blisters when hiking?